Australia and Indonesia, being the main exporters of coal to China, are growing their market share at the expense of longer haul exporters like the US and South Africa. 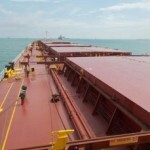 Therefore, dry bulk shipping demand does not enjoy full tonne-mile demand, when the imported coal volumes increase. The high level of coal into China for Q3 2016 shows the growing importance of Chinese coal imports for the shipping market, since mid-April 2016. The State Administration of Work Safety in China enforced in mid-April a policy of 276 working days per year, upon the coal mines. A decrease in operational days of 16%, to handle the overcapacity in the domestic coal mining industry. This policy is the dominant reason for the surge in Chinese coal imports to the highest quarterly level since Q2 2014 and the second highest Q3 ever, only beaten by 2013. 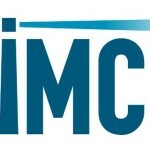 BIMCO’s Chief Shipping Analyst Peter Sand says: ”After dropping in 2015, the commodity trades into China are now showing great support to the dry bulk shipping industry. 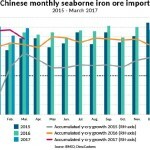 The coal imports are achieving levels as before in 2015 and together with the highest level of imported iron ore, which is the most influential dry bulk trade, China is keeping the wheels rolling in terms of shipped volumes. 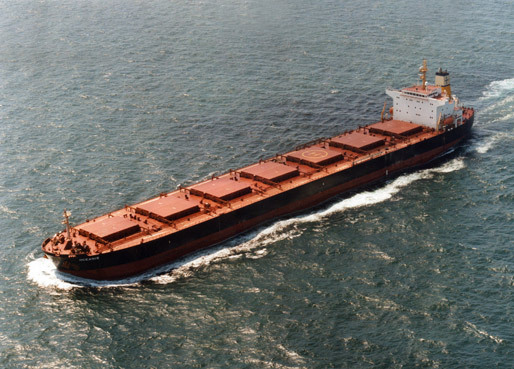 Despite a solid surge in coal volumes, the demand side of the dry bulk shipping industry will not benefit to the same extent as before. Since 2014, there has been a change in the coal trade patterns where China has singled out its key distributors and focused increasingly on them. This has brought around shorter sailing distances, due to the proximity of exporters”. 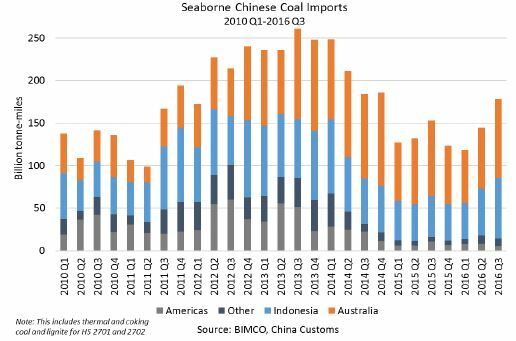 In Q3 2016 the Chinese seaborne coal imports achieved the highest tonne-miles since Q4 2014, with the main drivers being Australia and Indonesia. Unfortunately for the tonne-miles in the dry bulk shipping industry, Indonesia has absorbed 80% of the additional sheer seaborne volume in Q3 of 2016, mainly driven by a 29% increase in their lignite export compared to Q3 last year. 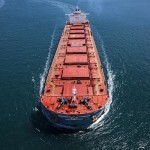 Peter Sand adds: “In 2013 China’s coal imports achieved high tonne-miles for the dry bulk shipping industry, due to China sourcing 23% of its seaborne coal volumes from origins other than Australia and Indonesia; primarily long haul routes from the eastern part of the US and South Africa. These trade patterns have since changed to only sourcing 16% from other origins instead of Australia and Indonesia in 2016. The origins have also changed to primarily shorter hauls from the western part of Canada and Malaysia – and not importing any significant amount from the US and South Africa, since October 2014. For the main exporters, it would be preferable if Australia can keep their coal supply growing like the coal demand growth in China, as Australian coal travels 50% further than Indonesian coal”. The change in the coal trade patterns has seen the US and South Africa as the biggest losers. Both experiencing their export to China plummet since Q3 2014. 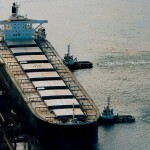 BIMCO will focus on the coal trade out of the US and how this has changed in a follow up analysis. The US was one of the main drivers of high tonne-mile levels in 2013 and despite the sheer volumes for Q3 2016 closing in on previous quantities, the tonne-mile is lagging behind. This is due to the dependency on the exporters which can, if sourced from distant origins, be the most significant driver and deploy ships on longer voyages. However, as the top exporters in 2016 are geographically closer to China, the increase in sheer volumes do not benefit the dry bulk shipping demand to the same extent. 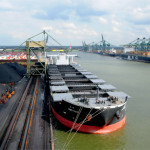 Thermal coal is the main driver of the surge in seaborne imports, as it amounts to 80% of the imported seaborne volume. It increased 16.7% for the first nine months of 2016 compared to the same period in 2015. Respectively, the coking coal imports increased 4.5% in the same period. 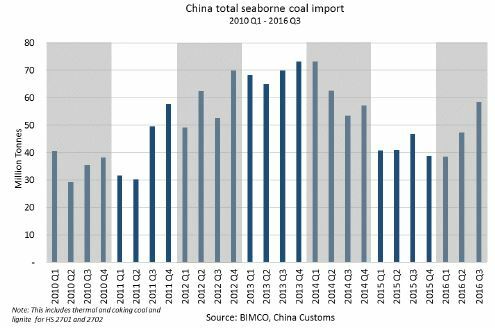 The reasons for the increase in seaborne thermal coal imports for Q2 and Q3 emerges from several factors. Imports are highly influenced by the Chinese coal-derived electricity production running at a faster pace. This is due to a steady growth of the Chinese economy and authorities trying to control its domestic coal production by an operating limit on coal mines. Furthermore, there has been a reduction in the electricity production made by hydropower for September, which is down 11.4 % year on year for that month, but is still up 8.6 % in total for 2016. These factors have resulted in China producing 1,168 Terawatt per hour (TW/h) of coal-derived electricity in Q3 2016 compared to 1,058 TW/h in the 3rd quarter of 2015. An increase of 10% year on year. This comes on the back of 2 years of negative growth in coal-derived electricity production. Thus, the question remains, is the recent surge in thermal coal imports only a short-term change in trend?